I love this recipe book because the ingredients are not obscure as if often the case and can be found in our local shops! 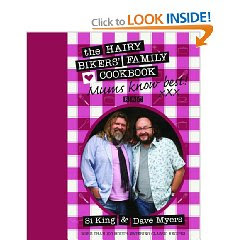 The methods are simple and the sense of humour which runs through the recipes is a hoot! I will be sharing some of the results so watch this space! B is for...Biscuits and Baking! Continuing with my cooking activities I have invented my very own recipe today which I thought would be good to share here! I really hate food waste and wanted to find a use for left over biscuits. We had quite a large selection of various biscuits, mostly chocolate digestives! I then used 2 jelly mixtures. I used the sugar-free types, Raspberry flavour! I melted the crystals with about half a cup of boiling water then added a 14oz can of condensed milk. I spread the mixture onto a lined baking sheet and chilled. Once cool I cut into pieces. My friend Maria called this afternoon so I gave her a scotch egg and the desert was the new invention! She polished off 4 and took a tray full home, so I think the recipe is a success! This is our friend Lisa doing a bungy jump last year from Teesporter Bridge in Middlesbrough, to raise funds for Cancer Treatment! Lisa will travel to Downing Street on Monday in a bid to have the cervical cancer screening age lowered. She will join campaigners from all over the UK to present a petition at the heart of Government. Currently, women can only go for smear tests from the age of 25, after the Government raised the screening call-up age from 20. But administration officer Lisa says this is too late. “In Scotland, the test can take place from the age of 20, and that should be an option for girls in England,” she said. Lisa, who was diagnosed herself with cervical cancer in 2007 and is now in remission, began campaigning for early access to screening after becoming friends with another sufferer on the social networking site Facebook. Sadly, friend and young mum Claire Walker-Everett, from Sunderland, lost her fight for life in September 2008 when she was just 23. Now Lisa has teamed up with Laura Atkinson from Gateshead, and the pair will travel to London together on Monday. Lisa, who recently renewed her wedding vows with husband Andrew - and was caught up in a terror scare in New York - dedicates much of her time to raising cash and awareness for the disease. “I want as many people from Teesside as possible to sign this petition so the Government sits up and takes notice,” she said. Sign the petition at www.outbackweddingvideos.co.uk/cancer-awareness.php. I started ABC Wednesday over 3 years ago and it is amazing to think we are still going! Basically each Tuesday evening/Wednesday morning a group of us spanning the globe, post either a photograph, image, poem or anything really which has something to do with the appropriate letter of the alphabet. So here we are at A again! A is for Advice Needed! Yesterday my friend Steph cooked a wonderful meal for Maria and myself prior to her jetting off to California for 4 months. We are all so excited for her and will be following her adventures as she is setting up a blog, so I will be able to share it here! If anybody from the US has any Advice for Steph, she will be so grateful! The bread situation is causing concern as she doesn't seem to be able to source basic ingrediants for breadmaking! Steph and her family will be based in Irving with a zipcode 92614. A is also for Appetite.......some of the lovely food we have shared with family and friends over the weekend! It was our godson Andrew's birthday too! Anybody wanting to join in, just visit the location in my sidebar! Yesterday we had to attend the funeral of a very dear friend, Christine who died last week as a result of a traffic accident whilst out on her motorbike. It was a freak accident really and could have happened to anybody, but sadly for us and all of Christine's family her number was up! The service was to be held at our local church, All Saints in Easington. We knew there would be a lot of people attending the service as Chris was so popular. The church was absolutely full with a huge crowd of people standing as there wasn't any seats left. The service was to begin at 1.15pm and by 1pm the place was packed with many standing outside. During the service we learned lots of facts about Christine, facts which we wouldn't have known. After the many years I have known Chris I did not know she not only loved poetry but wrote some herself. Her favourite poem was Wordsworth's Daffodils which we are all familiar with. William Wordsworth wrote Daffodils on a stormy day in spring, while walking along with his sister Dorothy near Ullswater Lake, in England. 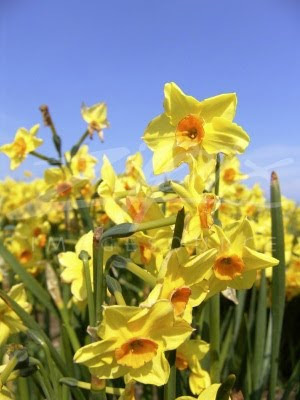 He imagined that the daffodils were dancing and invoking him to join and enjoy the breezy nature of the fields. Dorothy Wordsworth, the younger sister of William Wordsworth, found the poem so interesting that she took 'Daffodils' as the subject for her journal. It is such a shame that often we only discover things about people when it is too late to talk. I asked Jon if he had a favourite poem and he said whilst he wasn't a great lover of poetry he did like "If" by Rudyard Kipling. He went on to say that he didn't think it was appropriate for a funeral but I think it would be OK.
My favourite poem is by EE Cummings. I particularly like it for the words in the final line sum up the great feeling of walking on the beach and being so near to the sea. When I was teaching in Nottingham, in the East Midlands I often read this to my pupils and described the coastline I was brought up with which is now an important part of our walks and indeed we can see the North Sea from our house, so it is fitting! I love programmes which inspire me to try something different. Here are the scotch eggs ready for frying. And here is the complete meal! Too much really. I left the chips and sweetcorn, but the scotch egg was awesome. Jon said it was the best scotch egg he had ever had! Bless! 1. Bring a large pan of water to the boil and cook six of the eggs for 4-5 minutes until they are medium- to hard-boiled. Drain and run under cold water until cooled (this will prevent the yolks from discolouring). Peel and set aside. Beat the remaining two eggs together in a bowl and set aside. 2. In a bowl, mix together the sausage meat, sage, thyme, cayenne pepper and freshly ground black pepper until well combined. 3. Divide the sausage mixture evenly into six portions. Roll each portion into a ball, then flatten out to form a thin patty. Wrap each patty around the peeled boiled eggs, smoothing out the join and making sure there is no egg left exposed. 4. Roll the scotch eggs in the flour, then dip in the beaten egg and roll in the fresh breadcrumbs. Dip the coated eggs once more in the egg, then again in the breadcrumbs. 5. Half-fill a deep, heavy-based pan with the vegetable oil and heat Fry the scotch eggs in small batches for 4-5 minutes, turning the eggs occasionally, or until golden-brown all over and cooked through. Remove from the oil with a slotted spoon and drain on kitchen paper. 6. Serve the scotch eggs immediately, sliced in half to reveal the soft yolk. On it's way from the North Sea! We are situated on the North East Coastline, indeed we can see the Sea from our house. On Wednesday as we were driving we could see the terrible weather coming in from the North Sea. last night we had the coldest night so far and the dreadful weather is set in for another week. I have not been out of the house for a few days now, making do with a visit to the shop in the 4x4 (Jon driving) for day to day stuff! We had to make a journey to the local A&E department on Wednesday as Jon has a problem with his hand. During the Christmas break he was working on the work's van when there was an incident with a spanner which he managed to bash his hand with. Initially this just seemed to be superficial, but as the days went on a swelling started to develop which was causing him pain and discomfort. A routine visit to the surgery on Wednesday found us on our way to the hospital. Jon was seen quite quickly and whilst I waited in the waiting room he was whisked off for treatment.........all of nearly 3 hours! Imagine my surprise and horror when Jon emerged with a plaster cast on his arm, supported in a sling! It would seem a metal turning has been trapped near to his wrist and although not threatening initially, when Jon bashed his hand the turning was pushed near to the joint, hence the pain! As I write this, Jon is back at the hospital having it dealt with. Our neighbour John, kindly took him in his landrover! I must say the time I spent in the waiting room was interesting to say the least! I'll keep you posted re Jon's progress and rmind me to tell you about the lady who came in with a flapjack injury! I tell you, you certainly hear it all in A&E! In November a very close friend of ours had an horrendous motorbike accident due to a raised manhole/pothole? cover. last night we had the phone call to say Chris had died at 4pm. Chris was a lovely lovely person and we were proud to be her friends. Details of what happens next will trickle through our vast network of friends over the next few days, but right now, this is for Chris. With so much going on over Christmas and New Year we were fortunate that the family managed to get together for Christmas Dinner at our house. At one point we were worried about the snow but all was okay and we had a great day together. We thought, like many others that the splattering of snow we had would be the last of the bad weather, how wrong we were! Fortunately we have a 4x4 and manage where we can, Jon does the driving because he has done off-roading in the past and enjoys the challenge, I on the other hand lack such confidence and am quite happy to be a passenger. I did have a road accident many years ago when travelling to school. I hit a patch of black ice on what is a notoriously sharp bend in the village and my car ended up through a fence in a field. Every time we have snow the same thing happens to many motorists, only yesterday we spotted a car in the same position. We went for a drive up to Danby Beacon, the highest spot on the North York Moors, it is only a short drive away. We saw a few grouse surfacing from the shelter of the grounds. It was very bleak and we were one of the few 4x4 vehicles we saw. The roads were barely visible and we returned home to keep warm and safe. We have had many garden visitors including some thrushes. I think they are mistlethrushes...any thoughts? So back to normal now but more snow is forecast so we will be just keeping an eye on the sky. I am quite happy to stay at home!